Find My Workspace lists over 95% of the business centres market in Newry. Simply click Request Quote to check pricing for one office, or Add to Basket for multiple offices. Modern private offices in a range of sizes from 2 workstations up to 10, are available now at this well-located property. The secure site is gated and alarmed with its own car park and private garden area. The centre is a fantastic place for growing business teams who want a productive work environment and to join a great community. Tenants can access the property 24-hours a day, perfect for those who desire flexibility with working hours. There are dedicated kitchen facilities, meeting rooms and bike racks on-site. The rent is inclusive of fibre broadband, business rates, building insurance, maintenance and cleaning services. 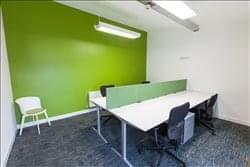 Based in Newry, this centre offers private office, coworking and hot-desking solutions in a unique setting. The centre boasts its own mini cinema for small group meetings and presentations, event space, an onsite coffee venue and garden areas. Available private office suites range from a 2-person up to a 5-person space and comes with 24/7 access, use of meeting rooms to host clients and a registered mailbox address. The centre offers a range of membership options for those looking for hot desking or coworking options, with a permanent desk inclusive of 24/7 access, unlimited desk usage, use of meeting rooms and registered mailbox address. The centre offers an inclusive rate that is composed of rent, business rates, buildings insurance, electric, cleaning, fibre broadband, maintenance, storage space and kitchen facilities. Based in Newry, this centre was established to create culture driven, flexible coworking space that aims to empower entrepreneurs and young, growing businesses in the Newry area. The centre offers a range of options, giving members a lot of autonomy in growing at their own pace and finding a solution that suits them. The centre delivers a great space that boasts a brilliant coworking, collaborative culture and fuels creativity and productivity. It is supported by state of the art technology and infrastructure that ensures members are fully connected. 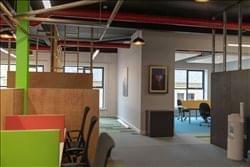 The centre aims to ‘bring down the walls’ in the office environment, facilitating collaboration and networking among start-ups across Northern Ireland. The centre’s community is composed of over 60 innovators, all making use of the sublime facilities available and developing at their own pace. Members can sign up and move in on the same day, thus becoming part of a creative, entrepreneurial family and being able to take advantage of first class front of house support. The centre strives to take the pain and bureaucracy out of office management and setup, allowing their members to get straight down to business within their walls. This centre is part of an award-winning network of coworking hubs spread across Newry’s city centre. 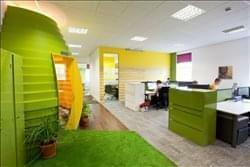 The building offers fantastic fully furnished coworking facilities as well as private office space on flexible terms. Virtual office options are also available with services including mail handling. The workspaces are bright and airy, allowing for a productive work environment. Tenants can benefit from 24-hour access to the property, perfect for those who work outside the regular nine-to-five. 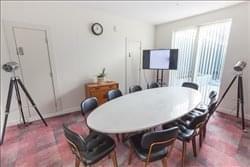 There are professional meeting rooms on-site as well as comfortable breakout spaces, kitchen facilities and a high-speed WiFi connection. To obtain information for your selected Business Centres, please tick the "Add to basket" box for each office you prefer and complete the form below. We will then send a detailed report via email.